Around 3 million children (43.3%) lead active lives, doing an average of 60 or more minutes of physical activity a day. Among active children, only the most active 1.2m (17.5% of total) are meeting the CMO guideline of 60+ minutes of activity a day, every day of the week. Just over 2.3 million children and young people (32.9%) are less active which means they do less than 30 minutes of physical activity a day. A further 1.7m (23.9%) are fairly active, doing 30-59 minutes of physical activity a day. New research published by Sport England today, carried out independently by Ipsos MORI, reveals the scale of the challenge to help the nation’s children be more active, and the benefits that sport and physical activity can bring. The report is based on responses from over 130,000 children aged 5-16 in England during the academic year 2017 to 2018. It also reveals that there are significant inequalities based on family income. It shows that children from the most affluent families are more active than those in the least affluent families. The type of activity preferred changes as children get older. ‘Active play’ such as tag or climbing in a playground are the most popular forms of activity for younger age groups, with team sports growing in popularity as children get older. By school years 7-8 team sports are the most popular and remaining so through to age 16. There is a gender divide between activity levels of boys and girls. Boys are more likely to be active every day than girls – 20% (boys) versus 14% (girls). This rift increases as girls get older, with a large gap opening from the end of primary school (years 5-6). The survey also covers the ‘outcomes’ of sport and activity and helps to show the links between being active and the mental wellbeing of children as well as their personal development and that of their community. The opportunity to see more of these benefits by helping more children to be active enough is clear. “We know that lots of factors affect behaviour and there is no single answer to the problem but listening to young people and what they want is the best starting point. In March we will publish the first results of our research on the attitudes of children to sport and activity, showing what they like about being active. Understanding the barriers, motivations and attitude of young people towards sport and physical activity is a key part of providing solutions that meet their needs. Sport England will be releasing a second report due in March 2019, highlighting children’s attitudes to sport and physical activity. To find out more about Active Lives Children and Young People and see the results in full, go to www.sportengland.org/activeliveschildren. 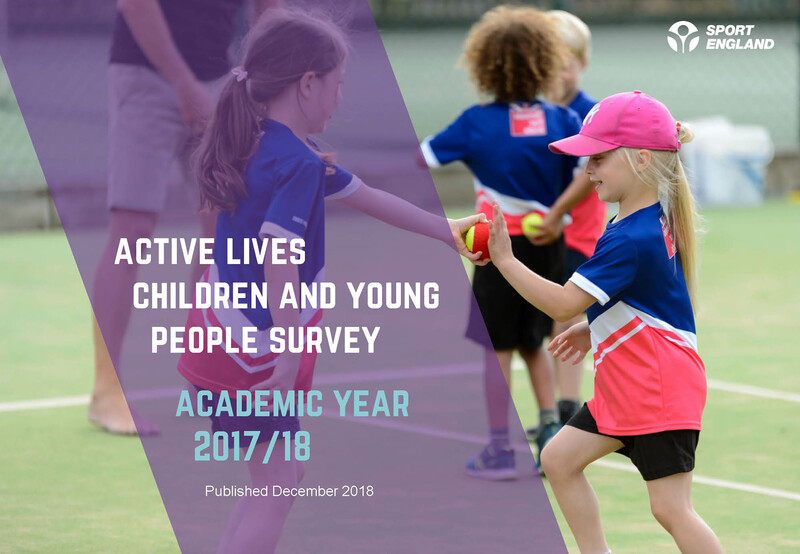 Rounders England are delighted to see Rounders feature so highly amongst other physical activities in the Active Lives Children & Young People Survey, published today by Sport England. With Rounders remaining one of the top team sports played by children & young people in schools, years 1-11, this gives us renewed confidence with regards to our campaign to #ReinstateRounders on to the list of assessed sports at GCSE, AS & A level. There is an enormous amount of passion and willingness to support the reinstatement of Rounders to the list of assessed sports and the survey results demonstrate further, the continued interest in playing rounders in schools. You can find out about our mission here and respond to the consultation here. Physical activity is crucial for good physical and mental health of children and young people - this work is a timely reminder for everyone to do more to help them be more active.